Synopsis: Are you an entrepreneur that needs to know about basic online marketing? Lucky for you, we compiled a list of the most advantageous strategies you can use to put your business on top of its game. Entrepreneurs are known to invest in any means necessary to get their businesses off the ground. They get good quality merchandise, hire the best service providers, and do their due diligence when it comes to the time-consuming paperwork. Aside from that, they have to look into how they can market their businesses in the best way possible. For a year like 2017, the best strategy would be to use the internet and the many advantages it offers. The easy answer is that everyone is practically online 70% of the day. Although it is not a healthy habit, you cannot deny that people are more in tune with their devices than they ever were. That is why it is a good idea to pinpoint an audience that makes up about 3 billion people – and that is just on Facebook. You can also tap into other mediums like search engines, blogs, Instagram, Snapchat, Twitter, and so much more. Every day a new application comes out and you get to choose from thousands that will fit your business’s needs. Now, the question is, how do you utilize these tools to market your brand? When it comes to strategy, all you need to do is choose one that works best for your company. Depending on your industry, you need to determine which one will give you the most leads, conversions, and increase sales. For now, here are some helpful tips you can use. 1. Follow other online marketers. If you can’t beat them, join them. By following other online marketers, you can study their strategies, replicate them (legally, of course), and develop your own strategies. Rest assured that they will work because these people are experts in their field. Soon, you too will be one of the best online marketers out there, as long as you follow the rules of the gurus of the internet and social media marketing. 2. Prioritize your personal brand. It is especially important for you to make sure that your brand stands out. There is almost no evidence of a “first and only” business anymore. By the time someone shoots out a new idea, ten businesses pop up in its place. That is why you need to focus more on making yourself into a brand that matters by using an effective visual and online marketing strategy. 3. Follow search engine SEO algorithm rules. Many entrepreneurs get reeled in by SEO promises from sketchy companies. If you plan on hiring an SEO expert, make sure that you do your homework. Algorithms change on a regular basis and they are pretty easy to understand when you go directly to the source like Bing or Google. According to the aforementioned companies, you don’t need to bombard your site with “well-placed” keywords. All you need to do is write something relevant. This is where content marketing comes in. Advertising may not be dead, but it sure as heck is too expensive to bear these days. Unless you are a Triple A company, you should not even try to work with big advertising firms. You will only lose money that you could have used for your online marketing strategies. Content marketing, however, will get you the advertising you need at no cost or just a little bit. If you are not a talented writer, you can get academic help and find someone who can give your company a content marketing trove that you can use for your website’s blog. 5. Market your business through social media. This is probably the most effective way to market your brand. People are always on social media, whether it’s Facebook, Instagram, Snapchat, Pinterest, and much more. Reddit is even considered as a social media platform, now that it has one of the highest engagement rates online. 6. Read social media marketing books. This may not be considered an online task, but reading social media marketing books always helps everyone who needs to find untapped information. Most books are not available for free, so you will have to shell out a little bit just to get thousands of dollars’ worth of information. 7. 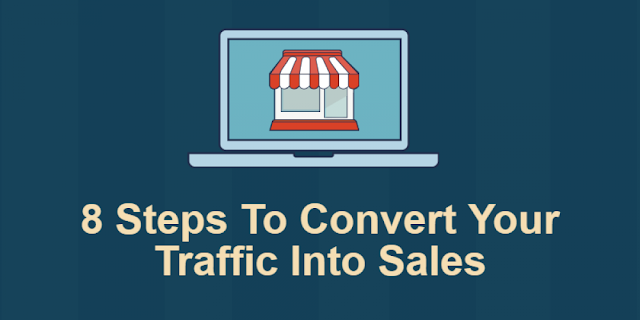 Increase your conversion rates. When people visit your site or social media page, you can invite them to take a look at your products and services. You also have the chance to tell them why you are the right choice and why they should hire you. That can easily be done by asking them politely through the mediums mentioned above. Email marketing is different from newsletter subscriptions because you are the ones sending out invites to your business. There are many sites that offer a collection of emails that you can send out prompts to. The good thing about it is that these emails are open to receiving organic emails, which will not go directly to their spam folders. Think of it as online telemarketing, but less invasive. 9. Use effective marketing tools. These tools include paid advertising sites, SEO specialist sites, analytics sites, to name a few. Online marketing requires a great deal of work and these tools will save you time and effort. Social media management tools can be a big help too. You can schedule posts, control everything from one place and get administrative work done after. 10. Consider various mediums for marketing. Rather than rely on content marketing or social media posting, you can also use videos, photos, and other applications to market your business. Forums are an interesting place to discuss your business, but make sure that it does not come out as a hard sell. Most importantly, your mediums should be visually enticing. Hire a designer, videographer, or learn how to make your own works of art for your business. 11. List down your goals and set a marketing plan. After studying all of these marketing strategies, it is time to make a plan for your company. The study which is the best fit for the type of industry you are in. Find out who is likely to buy from you and what they want to buy. Study how much people are willing to spend. Plan, plan, plan. Never compromise on this phase because you cannot be successful if you play everything by ear. Now that you are ready, it is time to put all your online marketing strategy plans into action. Create a time-sensitive checklist or calendar, allow the proper budget, conduct market and research studies – or buy one – and start selling your business to the online world. Remember, online marketing is not a one-time deal. You need to be consistent and flexible. Always go with the trends, make sure to be politically correct, and never compromise your beliefs as a business as long as they are morally right. That is the way to succeed as an entrepreneur. Author Bio: Norman Arvidsson is a freelance writer for GetAcademicHelp from Atlanta. He is also an entrepreneur, blogger, and web developer. He is familiar with the business, marketing, and e-learning. Follow him via Twitter.